The bridges that will soon raise some of Dubai’s most prominent roads to allow Dubai Canal to make its way to the Arabian Sea are beginning to take shape. With several structures rising at various locations, it is becoming clear what these roads will look like once the canal is complete. The most impactful part of the project is the elevation of Sheikh Zayed Road, which will be raised 8 metres via an 800 metre-long bridge. From Business Bay up to the structures of what is soon to become the new Westin Hotel opposite Al Safa Park, the early appearances of a bridge are visible. The bridge will first be constructed in the direction of Sharjah. For this part, Dubai-bound traffic was diverted to what used to be the six-lane highway, Abu Dhabi-bound. Traffic heading to Abu Dhabi is currently re-directed on a temporary stretch taking up the old service lanes. 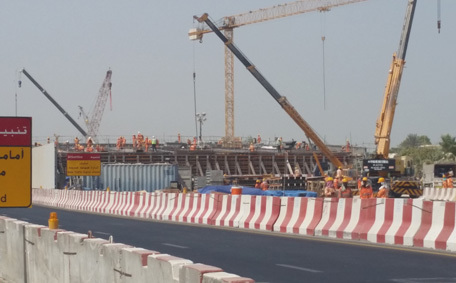 Once this part of the bridge is constructed, a similar traffic diversion will be carried out in the other direction to free up space for the construction of Abu Dhabi-bound bridge. The bridge, which is part of phase 1 of the project, will comprise 12 lanes. 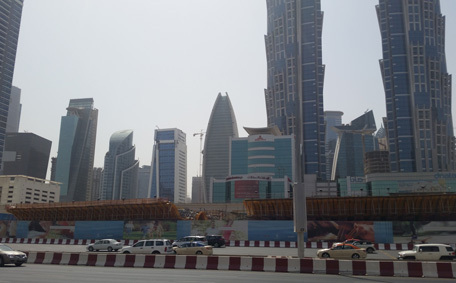 On Al Wasl Road, a similar construction is taking place, only here it concerns the lifting of a four lane-road. Right behind Al Safa Park, the beginning of a bridge is starting to take shape. 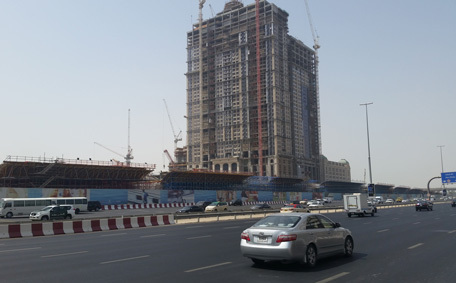 Although it is not as advanced as the bridge on Sheikh Zayed Road, pillars along the road have been erected, pinpointing where the eventual bridge will lead. 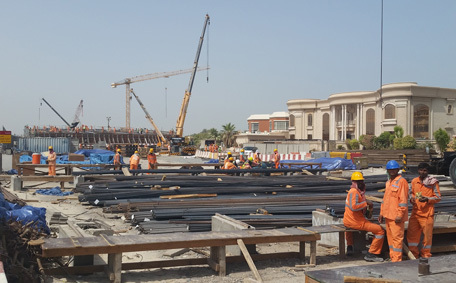 Another interesting landmark is that of the early setup of a new flyover, which will connect Al Wasl Road with Al Hadiqa Street. Two pillars under construction show where the road will ‘fly’ over in the direction of Sheikh Zayed Road. The construction of this bridge and the building of a similar bridge to elevate Jumeirah Road are part of phase two of the project. Once these bridges have been lifted, the underlying ground can be cut for the digging of the actual canal..
Digging of the canal has already begun at Safa Park, a stretch of land between Sheikh Zayed Road and Al Wasl Road. 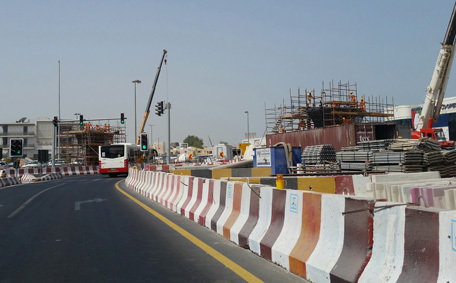 In a statement in March this year, the RTA said that the first phase had reached a 40 per cent completion rate, while the second phase was 25 per cent complete. The project will extend Dubai Creek from Business Bay across Sheikh Zayed Road, through Safa Park and across the two main arteries in Jumeirah to reach the Arabian Gulf.